Hiroo Onoda was a Japanese officer who refused to believe that World War II was ended. After Japan’s surrender, he continued to fight for 29 years in the jungles of the Philippines. While battles on earth continue to be waged, the war in heaven is over. The enemy desires to scatter the Church and strike fear in lives of the faithful. But that is the best he can do, since the war is decided. “It is finished.” Though demonic forces will continue to wage skirmishes on earth, we must not fear. Our confession of the Christ is sufficient force now. Give your testimony and fear not, remembering that the war is over. 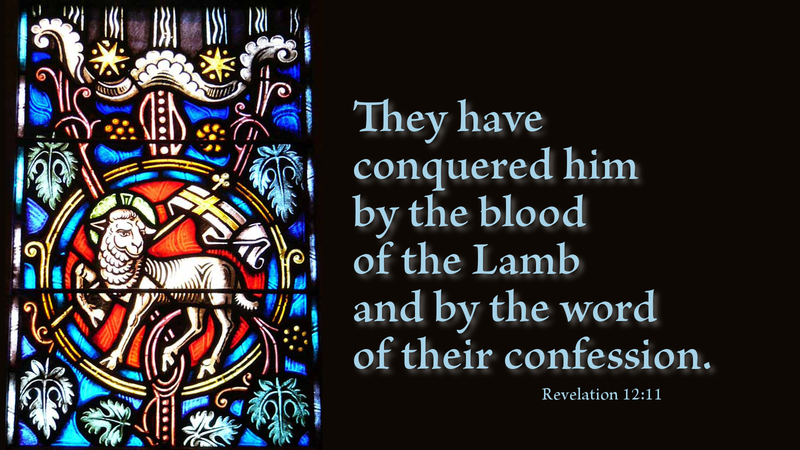 It was conclusively won by the blood of the Lamb of God. Prayer: Lamb of God, help me live in the peace of your victory. Amen.